Autographed by Chunk, Mikey and Data. 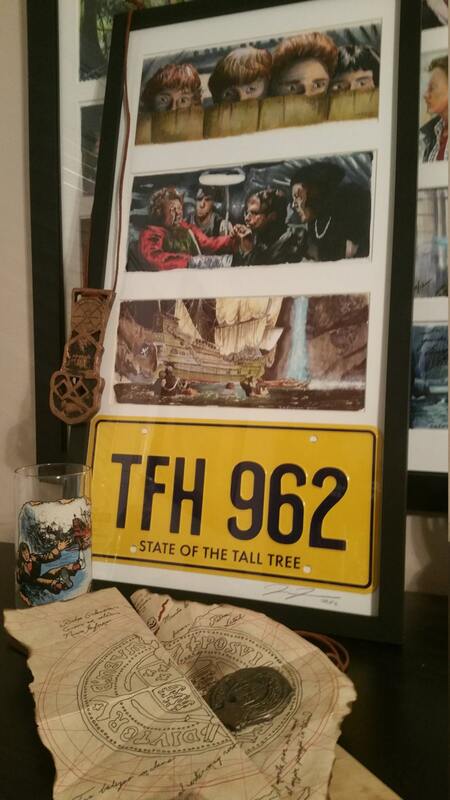 Three of my 5"x11" Goonies art prints with the Fratelli's ORV Replica Metal Stamped Screen Accurate License Plate framed. Frame is 14"x27" and black frame with white mat signed.